When swing tags are used in retail environments, they often have stickers, price tags or even handwritten markings made on them. 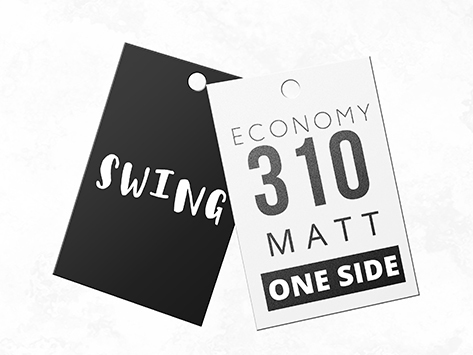 For this reason alone, our Economy Class 310 stock with a two-sided matt celloglaze is a great option for swing tags. The high quality, full colour print is another one. And if you need a third reason, just look at the wonderfully small prices!